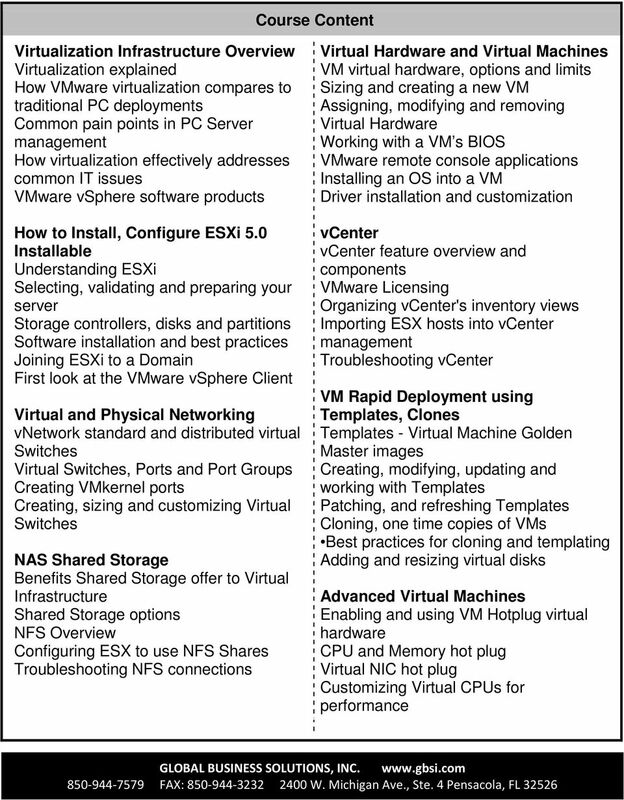 Download "VMware vsphere 5.0 Boot Camp"
1 VMware vsphere 5.0 Boot Camp This powerful 5-day 10hr/day class is an intensive introduction to VMware vsphere 5.0 including VMware ESX 5.0 and vcenter. 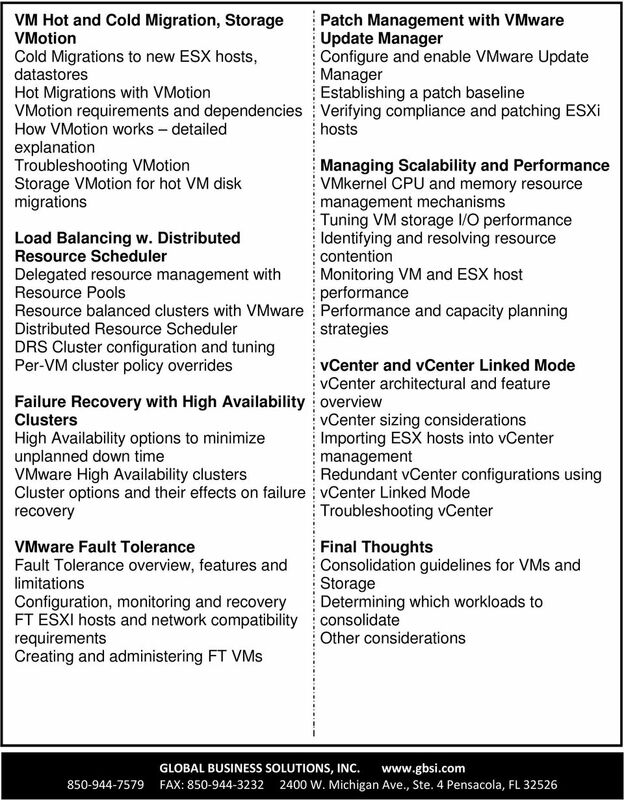 Assuming no prior virtualization experience, this class starts with the basics and rapidly progresses to advanced topics. 40+% of class time is devoted to labs so concepts, skills and best practices are developed and reinforced. 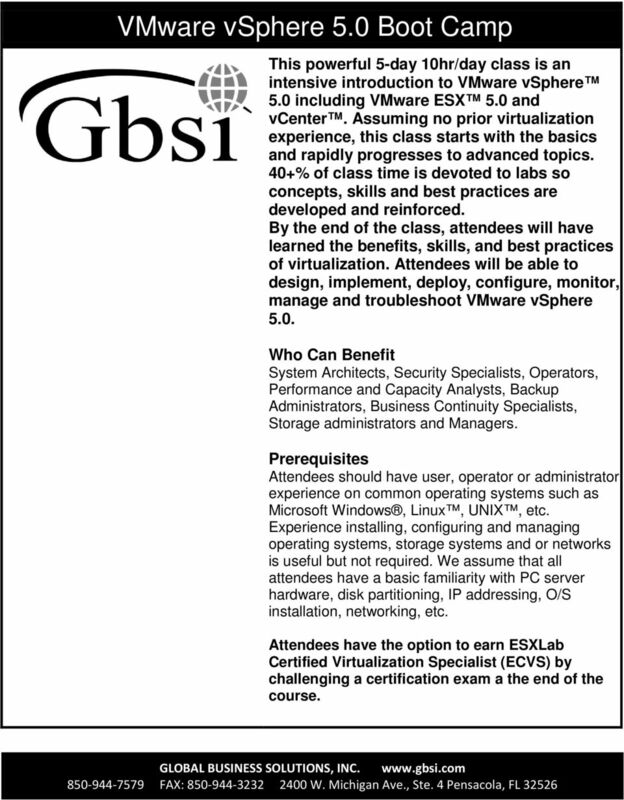 By the end of the class, attendees will have learned the benefits, skills, and best practices of virtualization. 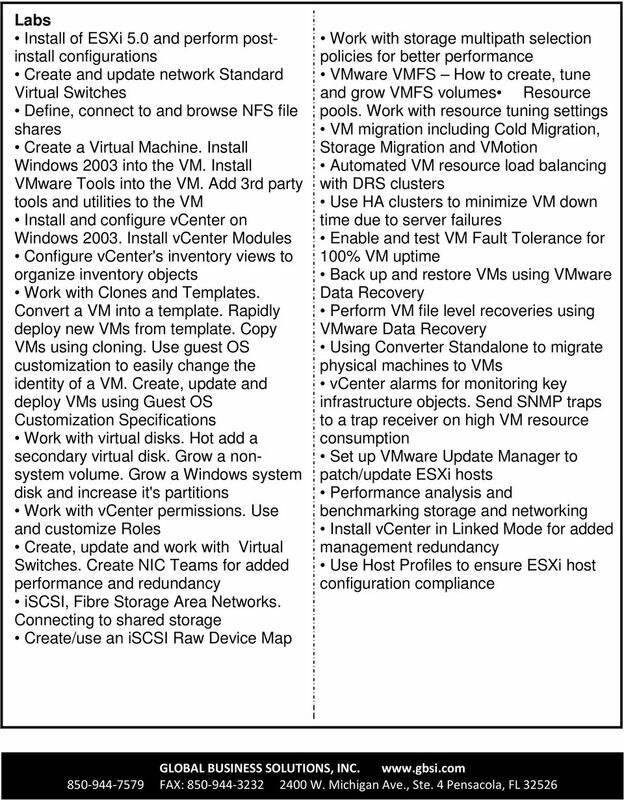 Attendees will be able to design, implement, deploy, configure, monitor, manage and troubleshoot VMware vsphere 5.0. Who Can Benefit System Architects, Security Specialists, Operators, Performance and Capacity Analysts, Backup Administrators, Business Continuity Specialists, Storage administrators and Managers. Prerequisites Attendees should have user, operator or administrator experience on common operating systems such as Microsoft Windows, Linux, UNIX, etc. Experience installing, configuring and managing operating systems, storage systems and or networks is useful but not required. We assume that all attendees have a basic familiarity with PC server hardware, disk partitioning, IP addressing, O/S installation, networking, etc. 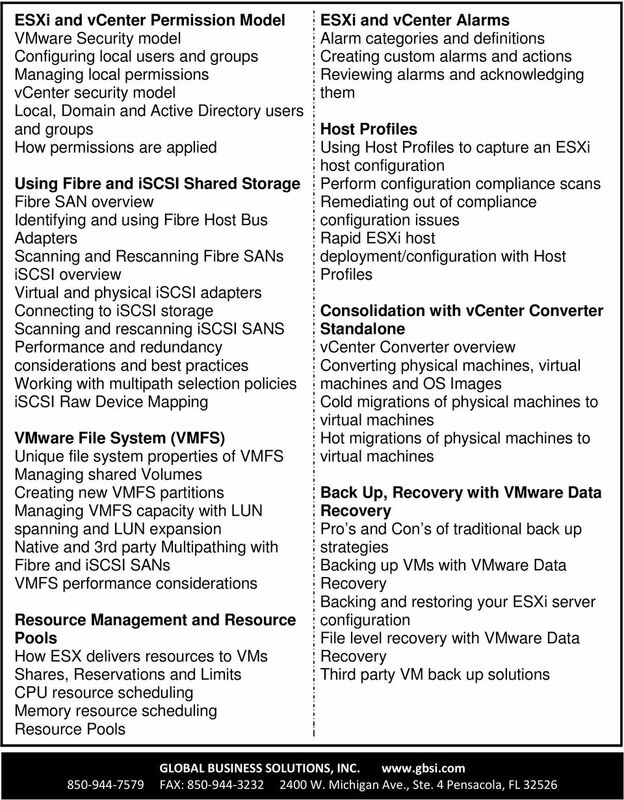 Attendees have the option to earn ESXLab Certified Virtualization Specialist (ECVS) by challenging a certification exam a the end of the course.